← IRT Spring Intensive Less Than One Week Away! Today’s training was brutal and I am really, really feeling it. A lesson cancelled so I had another hour on top of my daily practice hours to train just myself. Some light stretching then heavy rope, kettle bells with military presses to failure as a warm up. Afterwards the real training began. Push ups, burpee’s, sit ups to failure. About thirty minutes of sinawali or twirling movement. Then onto ten five-minute rounds on the long heavy bag. (Muay Thai bag) The heavy bag is a great workout, exhausting when done right and challenging for your body. Then onto some jump rope work and a few uphill sprints. Afterwards, meaning after the puke bucket onto wooden dummy training. My arms were quivering at this point but the pain was yet to come. Now the wooden dummy is absolutely one of my favorite things to work out on. It doesn’t care about how you feel, it is always ready for whatever you can dish out and if you hit it wrong it is totally unforgiving. I started working some IRT sets that I have incorporated into the wooden dummy training. 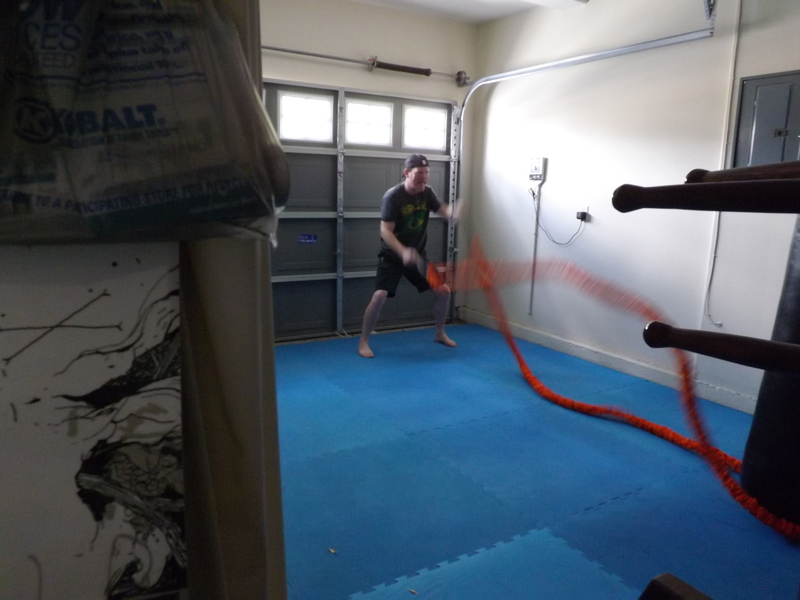 Mostly training hands and leg destructions followed with low line sweeping motions. 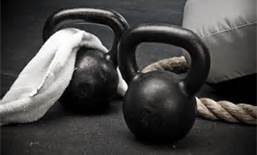 The hands and leg destructions are designed to give the forearms and shins and incredible and bruising workout. When I first started working on the wooden dummy my arms and shins used to be covered in bruises. Now I get just a little bruising if any after the slamming action. Finally I finished up training with the Nok Knives on the wooden dummy and then padded sticks. Two hours and thirty minutes later you could literally wring out my uniform like a saturated wet towel! If you are seriously about your training. Make sure you train your strength, cardio and flexibility! All of this is important to go along with your technique training. Work your mind as much as possible so that you have a strong mental outlook, strong physical attributes and that you are flexible. If you are really serious then train like a professional. Make sure you put in the work. Be the best you can possibly be! The best was yet to come afterwards though as I slipped into the pool with my beautiful wife and just floated while drinking a powerade! Update: After an hour or so my body was recovered and rehydrated! 3 Responses to Today’s Training Was Brutal……. Nice Tim glad to hear that your knees are doing better. Finding the right balance is essential. Having an injury or chronic pain is really hard and finding the right balance is essential. Today I had some time to train myself but instead of a really tough brutal workout I had an easy, light technique workout to refine movement! Hopefully, in the next few day’s I can have another really tough workout. I’m looking forward to a tough workout, but I think that may be a few months away. For now I will take it easy and build strength and try and regain some of the flexibility I lost.